The study was done in the area of ‘institutional ethics' and they hailed DMRC for its exemplary leadership, fair and transparent processes, commendable performance as well as punctuality and procurement respectively. 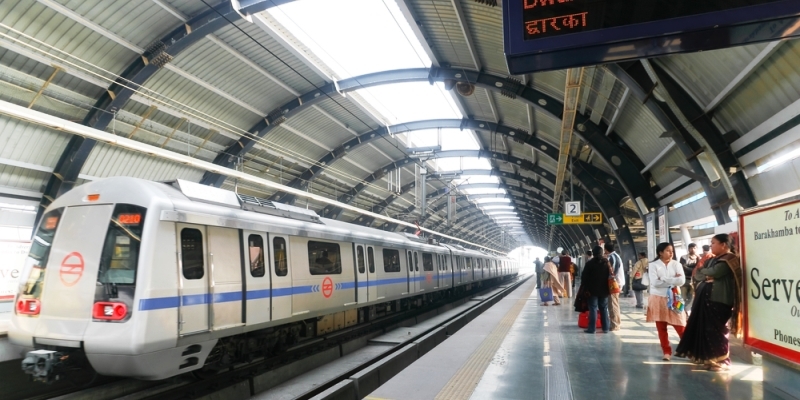 New Delhi: In a study conducted by the IC Centre for Governance (ICCfG), a non-profit organisation, has hailed Delhi Metro Rail Corporation (DMRC). The study was done in the area of ‘institutional ethics’ and they hailed DMRC for its exemplary leadership, fair and transparent processes, commendable performance as well as punctuality and procurement respectively. The report compiled by ICCfG and was unveiled at Metro Bhawan by Prabhat Kumar, former Governor of Jharkhand, and Dr Mangu Singh, MD, DMRC. As per ICCfG the reason for selecting DMRC was due to the consistent performance over the years as well as the respect it earned owing to its performance. As per the study’s outcome, DMRC has successfully implemented Code of Ethics and Values across all functions. The result also showed that the Delhi Metro excelled in several areas including adherence to safety norms, transparent processes, exemplary leadership, prevention of corruption, fair, punctual, employee welfare and transparent processes in procurement. The study was conducted by having in-depth interactions with DMRC’s officers and management. In order to conduct the research the team visited several facilities of DMRC like the training institute, control rooms and metro stations. Even commuters experience was documented on their travelling experience in metro. A detailed set of 14 questionnaires was prepared covering all dimensions of institutional ethics. This was then distributed among employees as well as public for the purpose of the study. Dr Singh, managing director of DMRC shared that the case study has firmly established that there is a direct correlation between an institution’s performance and the level to which it implements an appropriate code of ethics. DMRC on its part has implemented a code of values and ethics for all its 12,000 employees and ensures that each of the follows them. This study will motivate other metro corporations to follow code of ethics in order to win accolades from public and government. Manage their functions. It is of course up to top leadership to be role models. Unfortunately our political leadership has faied to be role model. This is the challenge as DMRC expands! !